The club is running a bus to this game. It will leave Blairgowrie at 11am, picking up at Coupar Angus, Bridgend, Perth Library and Broxden. 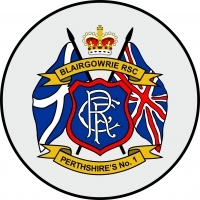 We will be meeting our friends from the Glaswegian Loyal at the Thistle in Hurlford before the match for refreshments. As most of our members managed to get tickets on line the club has a number of tickets left. If you want to go to the game and need a ticket/seat on the bus call or text Rory on 07803 561 941 ASAP.